I received my latest order of chicks over a month ago. As usual, they were adorable little balls of peeping fluff. They all seemed healthy and happy at the time and they were for almost a week. As usual, every one progressed and sprouted little wing feathers quickly. 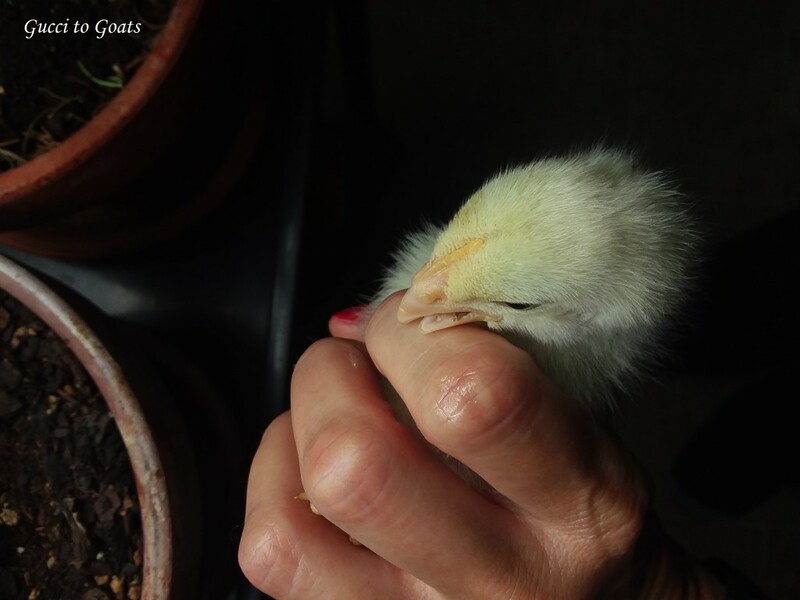 At almost a week old I was doing my daily inspection when I noticed my little white Marans chick looked a little different. I picked her up to inspect her closely. My heart sank. She had the early signs of scissor beak, also known as cross beak. Scissor beak is a condition where the beak starts to cross itself. From my understanding, this is usually due to the chick not being positioned correctly inside the shell prior to hatching. As a result, the baby’s skull is malformed enough to make the beak start crossing itself. The condition worsens as they age and from what I’ve seen and read there’s nothing that can be done to remedy this. Depending on the severity of the deformity these babies can live to adulthood. With proper assistance, such as giving them deep bowls of food to use their lower beak as a scoop, they can live decent lives. Wetting their food also helps. Unfortunately, this isn’t always the case. This chick’s beak crossed rapidly from day to day and seemed to be locked in place where she couldn’t open her beak to scoop food. When wetting the food didn’t help her I started trying to syringe feed her. This proved to be nearly impossible. She just couldn’t open her mouth. 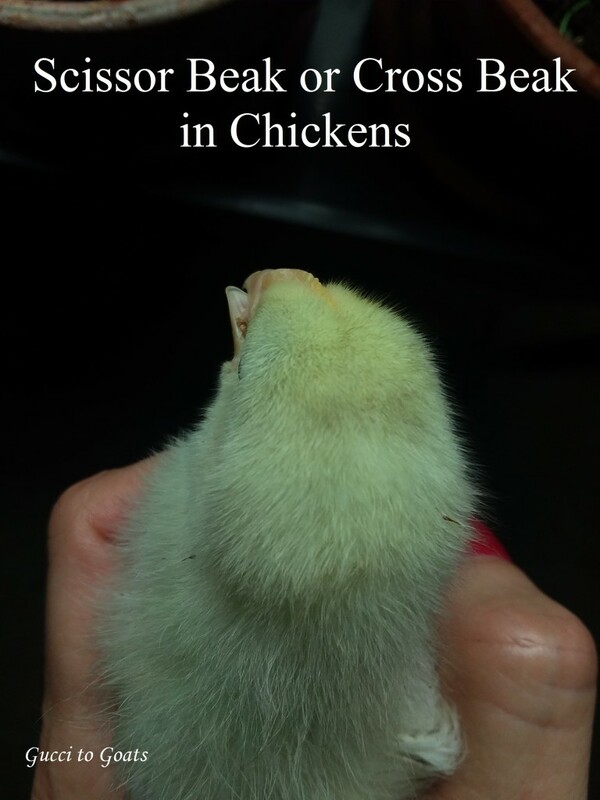 Within a couple days, despite my best efforts, she withered while the other chicks became fat and feathered. I went away for a New Year’s Eve party and my niece was great and took over farm chores giving me a much needed break. When I returned two days later I found the baby dead. 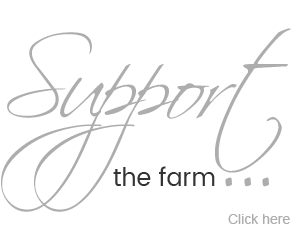 Most farm deaths sadden me greatly. In this case I was relieved this sweet baby had passed. 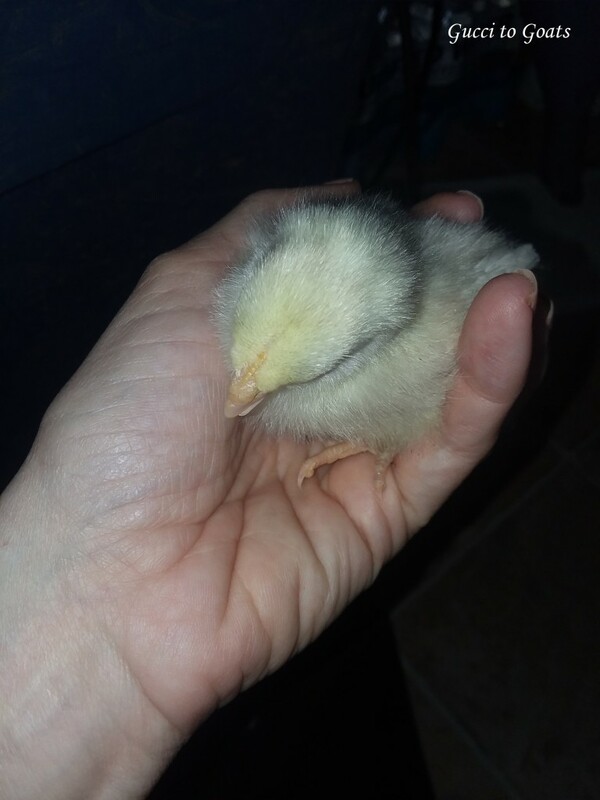 I probably should have eased her suffering myself but I’ve had scissor beak babies grow to healthy adults so I wanted to give her a chance.